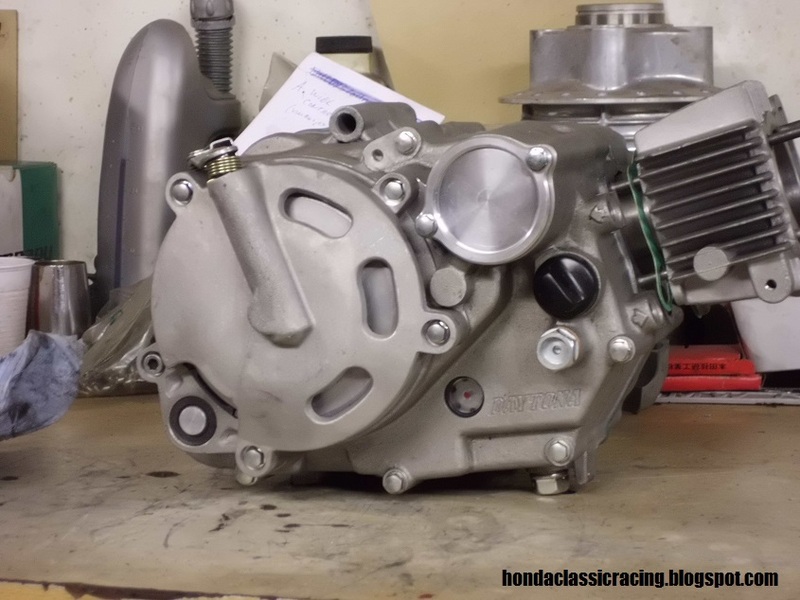 The motor I was building for the SS racer had a chinese copy of a CD90 clutch on it, for a racebike a bit to smooth I thought. So when I heard that a friend had a dry clutch laying around, I jumped at the chance. Thanx Eugen. Had some issues fitting it, because Daytona uses an M6 bolt that threads into the main shaft, but luckaly the Takegawa main shaft was hollow so I could fit a threaded bushing in there. Starting to look nice, now working on the cylinderhead, big fins, big valves, ported, now some final checks and to figure out which camshaft to use and valve spring tension.